16" overall. 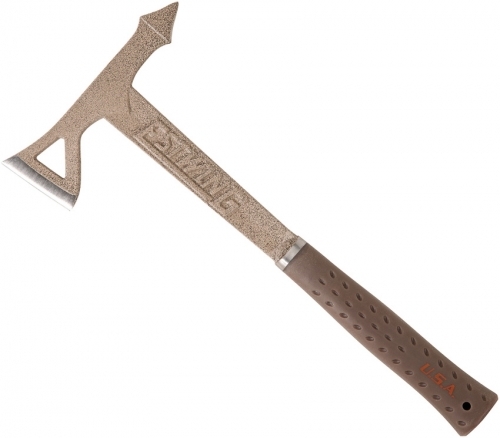 7.13" desert tan powder coated steel axe head with 2.5" cutting edge. Desert tan rubber handle. Lanyard hole. Full tang. Shock Reduction Grip. Spike end. Camo nylon belt sheath. Bulk packed.